Life Lessons We Learned from The Good Dinosaur | YAYOMG! The Good Dinosaur is out on DVD/Blu-Ray today, so what better time to discuss all the life lessons we learned while watching Spot and Arlo form an unlikely friendship during their big adventure? If you haven’t seen it yet, you might not want to read our list until you do. It could be considered a bit spoiler-y since we mentioned some themes and moments throughout the movie. If you’ve already lived through the magic (and the tears) of this super sweet movie, go right ahead and enjoy! The Good Dinosaur isn’t your usual animated movie. There’s not a whole lot of dialogue, and there’s a whole lot of feels – even for a Pixar movie. Almost every scene either melts your heart, breaks your heart, or makes you laugh. Spot and Arlo don’t just go on a journey to get back home, they also go on a personal journey where they learn to trust in each other, and learn a lot about who they are in the process. Their bond is really special, and they learn so much from each other. The things you want most in life are usually just a tad out of reach. Never give up! We all have a very different definition of family, and that’s 100% okay. It’s flippin’ beautiful outside! Put down those phones and go exploring with your bestie once in awhile. Even the most ferocious of beasts and confident of people can be scared sometimes. It’s natural, and it’s not just you. It’s okay to want a little time and space to yourself every now and then. Respect the personal bubble! Spend every precious moment you can with the people you care about. Those will be the memories you’ll look back on when they’re gone. Every now and then, you’ve just gotta let out a loud roar and be the dinosaur (or human) you were meant to be! Never be afraid to let your true colors shine! Your friends will always be on your side to protect you and guide you when things get tough. Don’t forget to return the favor when they need you most. …you can make the impossible become possible! Never be afraid to try new things! You’re going to meet a lot of Dream Crushers along the way. Never let anyone stop you from dreaming big and achieving your goals. Your friends can show you places and things you never knew existed, if you let them. Don’t forget to stop and appreciate the little things in life. Sometimes the smallest wonders leave the biggest impressions. The right choice and the easy choice are usually not the same one. Be strong, and hold your head up high, just like Arlo. 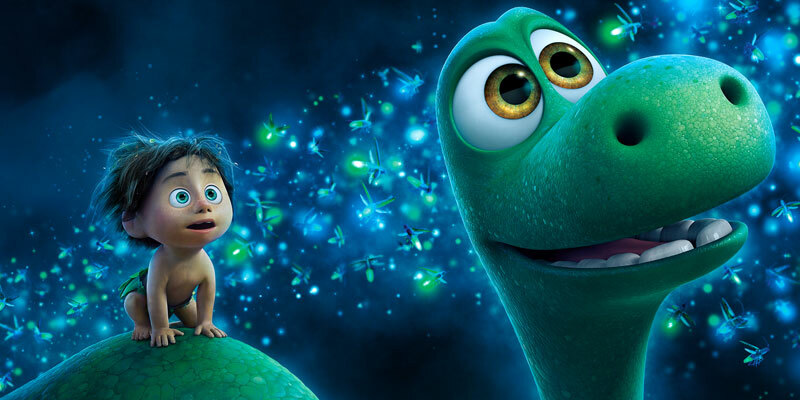 Can’t get enough of The Good Dinosaur? Take our Are You an Arlo or a Spot Quiz!